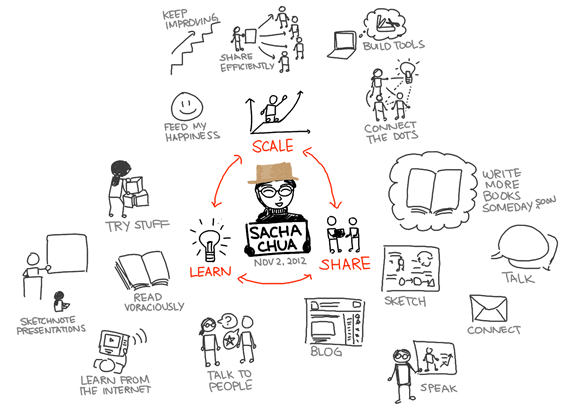 Because people like my sketchnotes so much, I’ve signed up for the Rockstar Scribe course to see if I can learn how to sketchnote even better. I’m curious about layout and figure and colour, and I’m sure this will be a good skill to develop over the next twenty years. I could probably learn a lot practising on my own, but I promised myself that I’d invest more in tools and education, so here I am! Our first assignment was to draw a visual introduction. Among the guide questions was this one: What is your life philosophy in three words? So this is me, at least right now. 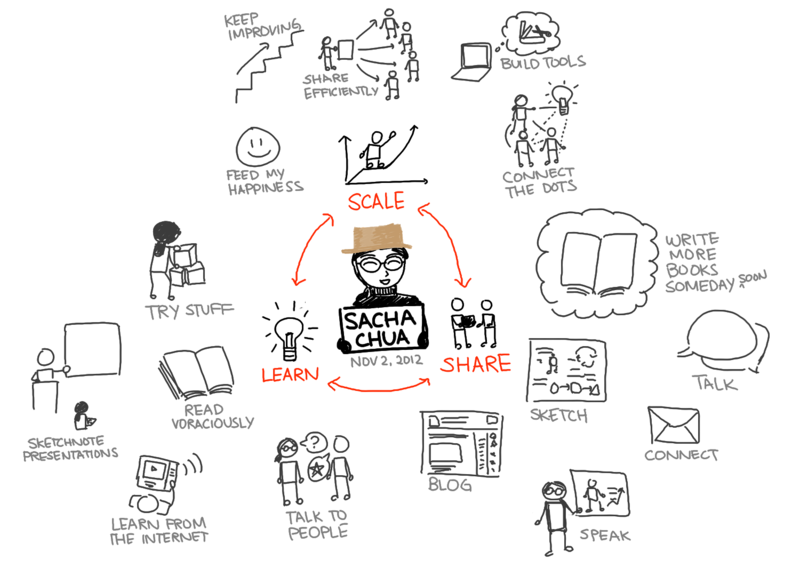 =) Learn, share, scale.